1. Paper can be recycled if it isn't mixed with plastic or foil, and if it isn't food soiled. Food soiled paper belongs in Food Plus Compost bins, and plastic or foil-lined paper belongs in bins labeled "trash" or "landfill." 2. Most plastics are recyclable, including bottles, jugs, caps, cups, lids, jars, tubs, pails, and buckets in the barrels labeled "plastics" or "aluminum, plastic, glass, tin." Syrofoam and plastic bags, however, are NOT recyclable on campus. 3. 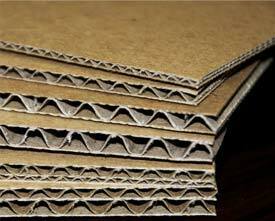 Only corrugated cardboard should go in the cardboard recycling. Items such as cereal boxes belong in "mixed paper" barrels.